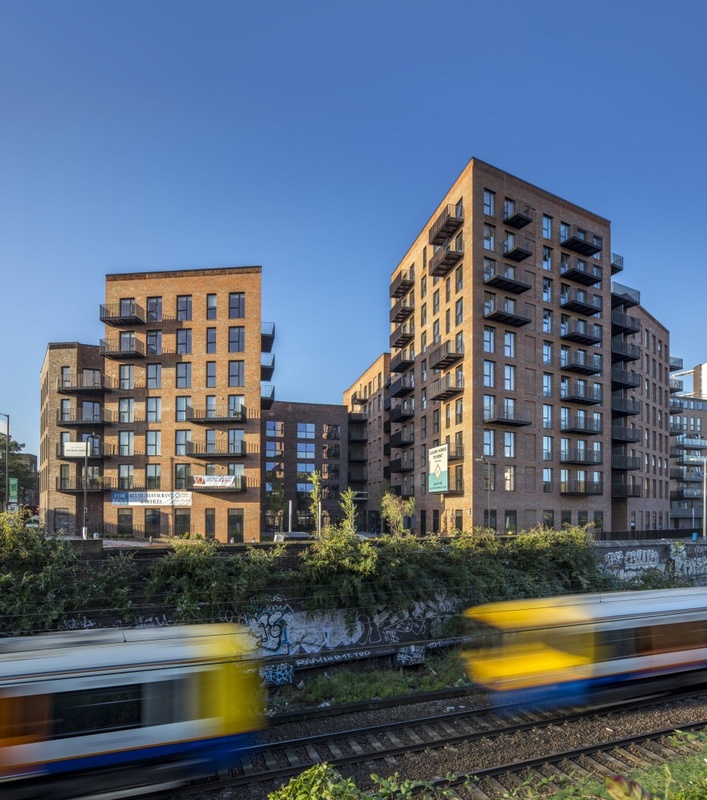 Waugh Thistleton Architects has completed Dalston Works, the world’s largest cross-laminated timber building for London property developer Regal London. 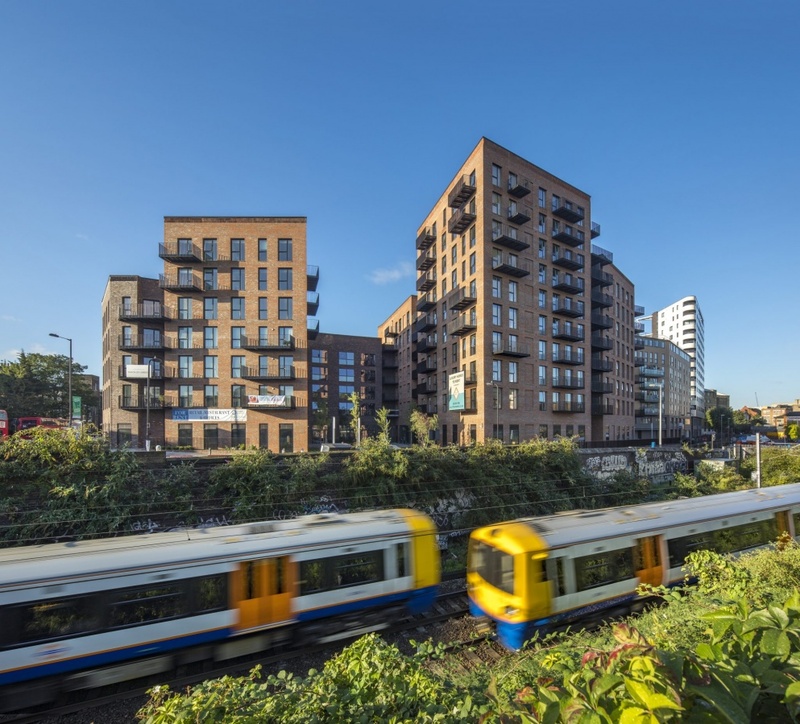 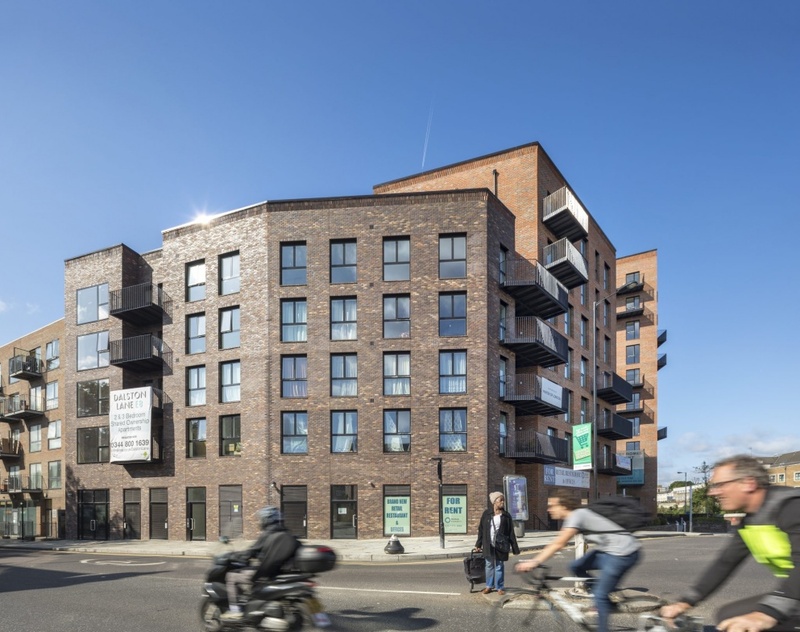 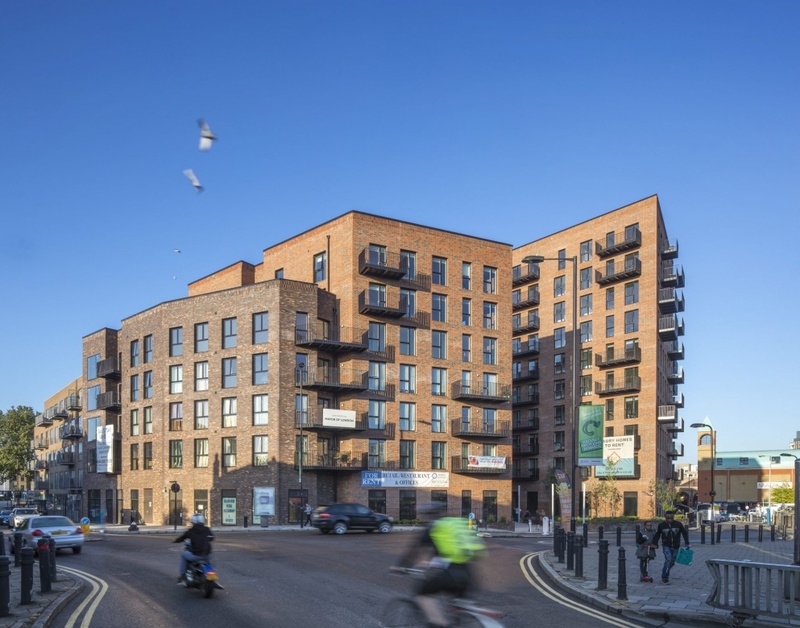 The mixed use development, located in the heart of Dalston, showcases how the innovative use of sustainable materials like CLT can help deliver high-quality, high density housing to the capital without compromising the environment. 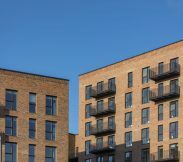 Dalston Works comprises 121 apartments for rent alongside two ground level courtyards flanked by 1500m2 of retail and restaurant space. 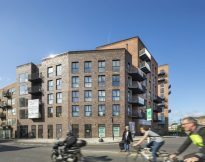 To the south of the site a 3500 m2 flexible workspace hub caters to the growing creative community in Dalston. “As a responsible and innovative developer, Regal London is proud to deliver high quality homes that will not only visually enhance areas and contribute to ongoing regeneration, but which also champion and lead the way in the development of sustainable homes. 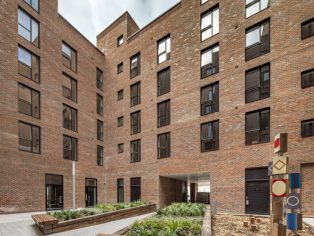 The building is broken into several distinct volumes with varying roof heights, designed to maximise daylight to the courtyards and living spaces. 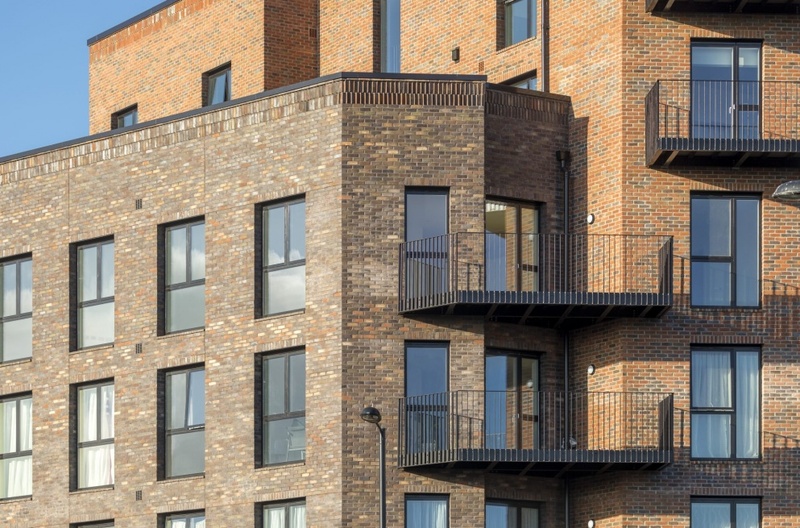 Dalston Works’ brickwork references the surrounding Victorian and Edwardian housing and detailing of local warehouses, while providing a contemporary addition to the local streetscape. 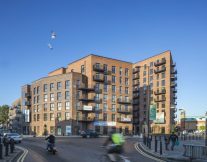 Located on a prominent corner site previously occupied by industrial buildings, the building’s ten storeys reach higher than was thought possible, given the structural restrictions posed by the proximity to a planned Crossrail route. 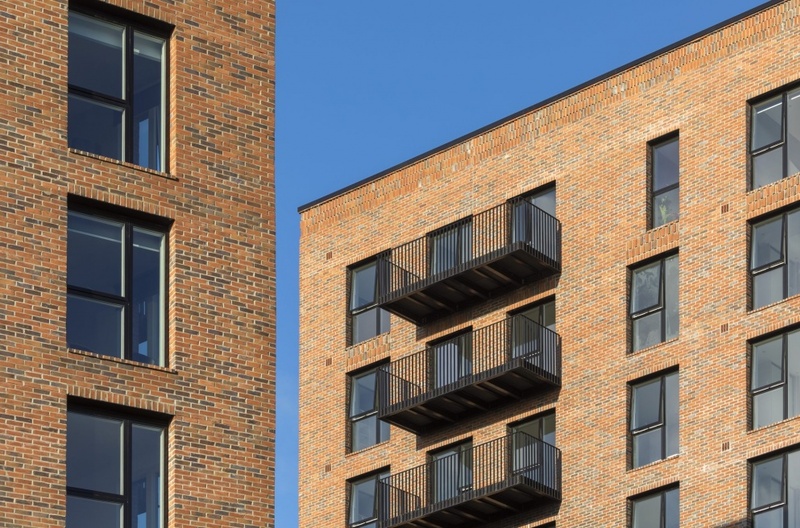 Through the use of timber for the external walls, party walls, floors, ceilings, stairs and lift cores, Dalston Works weighs merely a fifth of a comparable concrete structure, warranting the viability of the scheme in the site context. 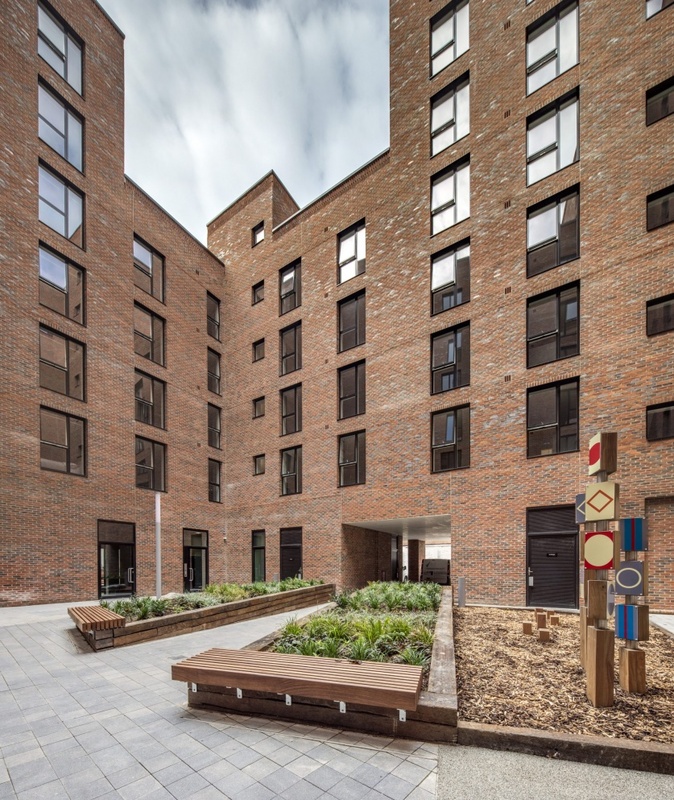 The sustainability credentials of the building are significant with approximately 50 percent reduction in the embodied carbon of the structure compared to a traditional concrete frame building. 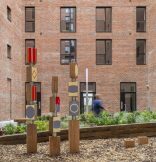 The timber also acts as carbon storage with over 2,600 tonnes of C02 locked into the material. 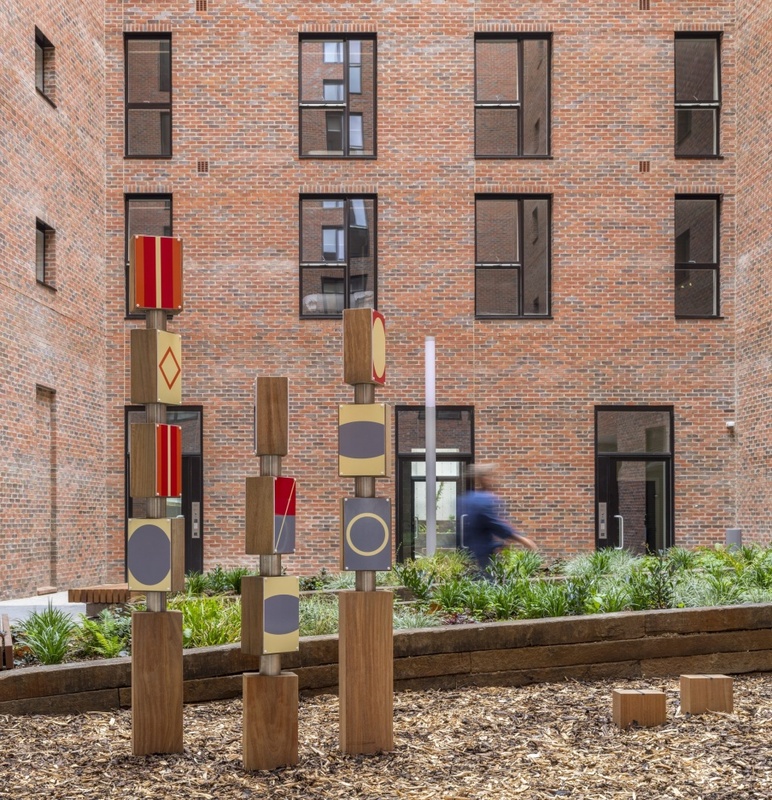 This effectively makes the building carbon negative for the first years of its usage. 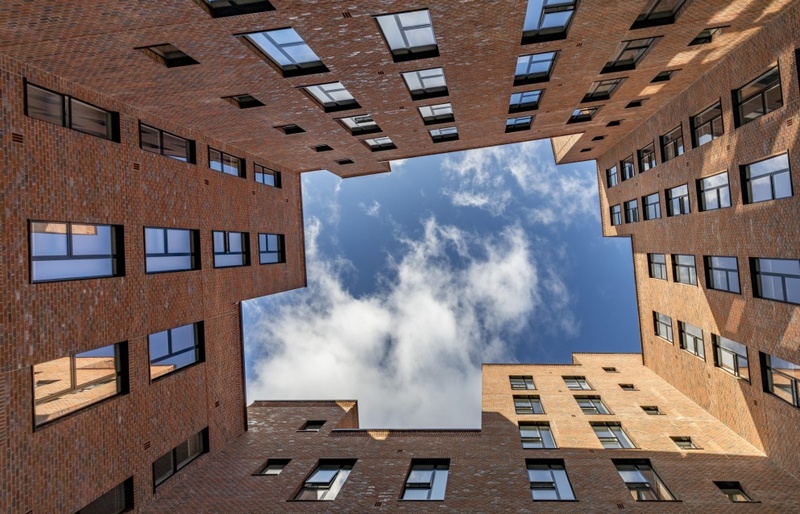 Using offsite construction shortened the construction programme allowing the frame to be completed in 374 days; while 80% fewer site deliveries reduced disruption, lowering the impact of the development on local residents and the environment.